Here at P.A. 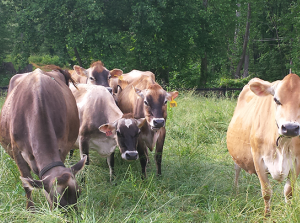 Bowen Farmstead we are dedicated to raising grass-based livestock and producing fine artisan raw cheese. Situated in the gentle hills of Maryland’s Prince George’s County, our diverse multi-species farm seeks to mimic the patterns of nature using old-fashioned grazing techniques coupled with modern technologies. The different animal species work symbiotically to heal and build our soil, and to produce high-quality foods that heal and nourish our bodies. Hormones, growth-enhancers, pesticides and herbicides are never used on P.A. Bowen Farmstead. We use antibiotics only in extreme situations, never routinely. Farm owners Geoffrey Morell and Sally Fallon Morell co-founded the Weston A. Price Foundation in 1999, a non-profit nutrition education foundation that disseminates the research findings of Dr. Weston A. Price. In his studies of healthy, non-industrialized peoples, Dr. Price discovered the importance of meat, fat, organ meats and milk products from animals consuming green pasture, as sources of the all-important fat-soluble vitamins. 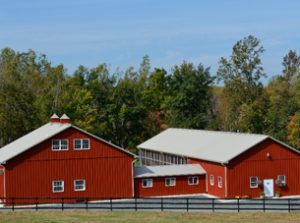 Later in 2009 the Morells purchased the ninety-five-acre Maryland property with the goal of creating an integrated farm that not only supplies high-quality, pasture-fed products, but also will act as an engine for the economic revitalization of the whole region. At P.A. Bowen Farmstead, we emphasize rotational grazing for all farm species. All animals are provided with a habitat that allows them to thrive: pigs root through the forests; broilers in their chicken tractors and hens roaming freely work over the pastures recently grazed on by our dairy herd; and our beautiful Jersey cows, milked just once a day, are given new pasture daily. The grain mix fed to our pigs and poultry (and in very small amounts to our cows) is non-GMO and soy-free, and mostly locally grown. We encourage people to visit our farm to learn more about our operation with our fascinating guided farm tours and classes. The farm is also available for events such as fund-raisers, corporate picnics and weddings. We are proud members of the Weston A Price Foundation and the Farm-to-Consumer Legal Defense Fund.